We are Vancouver, Toronto and Okanagan pre-wedding and engagement photographers. 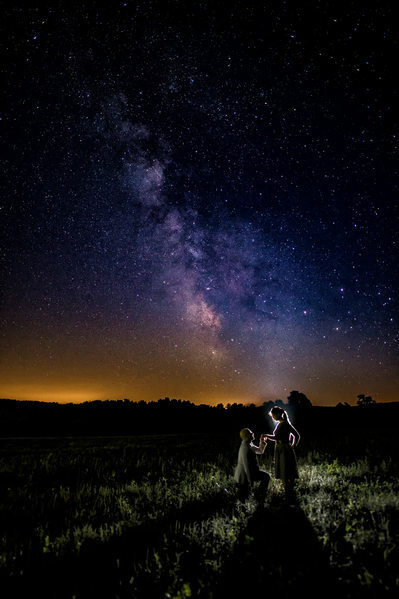 This gallery showcases different styles and locations, posing and creative ideas that we us to create excellent engagement pictures. You will find pictures from all over Canada; Toronto, Vancouver, Kelowna, Kamloops, Owen Sound, Muskoka; Mexico, National Parks and Italy. We travel worldwide to capture local and destination pre-wedding and engagement sessions. Toronto is ripe with picture locations for pre-wedding photos. The first that comes to mind is High Park as it is near the city and has so much green space throughout it, including the river valley that flows through it. Other locations include Humber Bridge, Casa Loma, Cherry Beach, Graydon Hall Manor, Evergreen Brickworks, the boardwalk along Lakeshore, Toronto Island, Unionville, Kensington Market, AGO, ROM, and many of the hotels in downtown Toronto. 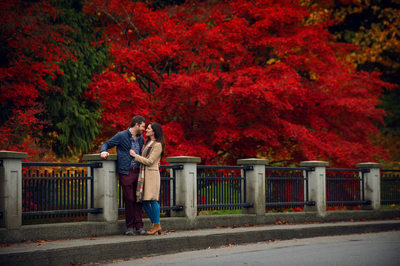 Since we are also located in Vancouver we love shooting Vancouver engagement photos. This beautiful city is similar in it's variety of locations but adds a vertical dimension allowing photos to be taken at the top of mountains or in other harder to get to places. Grouse Mountain would be one of my favourite spots for engagements due to it being the peak of Vancouver. We also love Stanley Park, Kitsilano Beach, Jericho Beach, Cypress Mountain, Squamish, White Rock, Maple Ridge, and many others in the area. We also shoot engagement photos in many other places around Canada and the world. 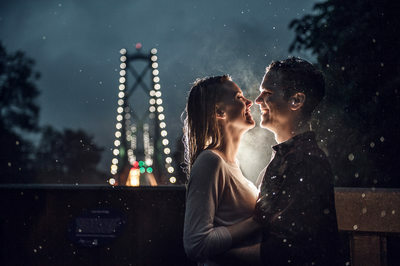 Choosing your season is the first thing we ask when planning an engagement session. Do you want fall colours, bright sun and warmth, winter snow or spring cherry blossoms? Would you like a nature feel, city feel or waterfalls? These are all questions we will ask before we set a date for your pictures. 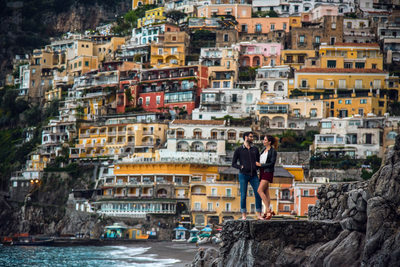 We are more than happy to help come up with ideas and locations to use or to figure out where to travel to in order to get the best pictures possible. Are there places that are meaningful to you or your family? Is there a family cottage or a place in Europe you have been many times? Would you like your photos taken among the pigeons of St. Mark's square in Venice? 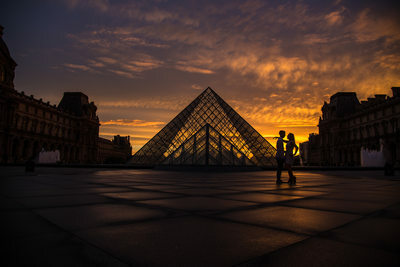 There are many romantic spots around the world that we would love to capture along with the love you share with your fiancee. 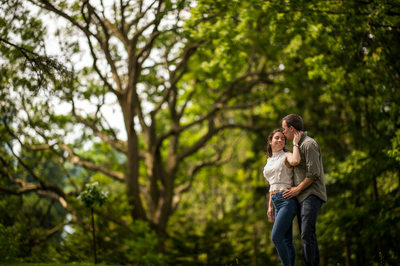 We are often asked how to use your pre-wedding photos once they are complete. We recommend an engagement album or a guest signing book, a large canvas or a series throughout your home of loving natural photos of the two of you looking fantastic.